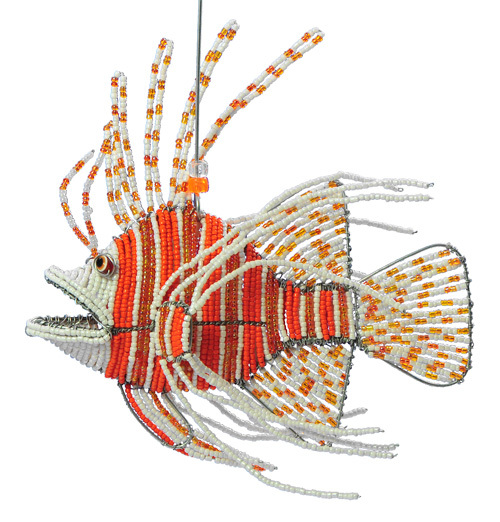 Our fair trade beaded lionfish figurine is 8″ x 8″ and hangs from the ceiling or on a wall from an attached wire hook. 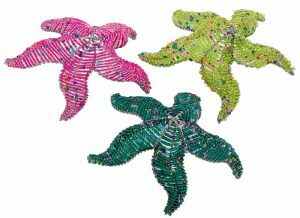 This beaded lionfish figurine is a perfect gift for the fish figurine collector and for those looking for sea life home decor. 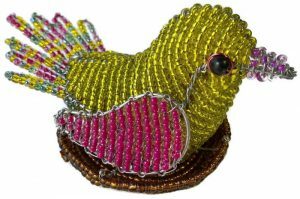 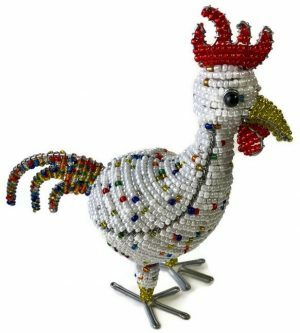 Our beaded lionfish figurine is painstakingly hand crafted Africa’s best bead and wire artists in South Africa and Zimbabwe.